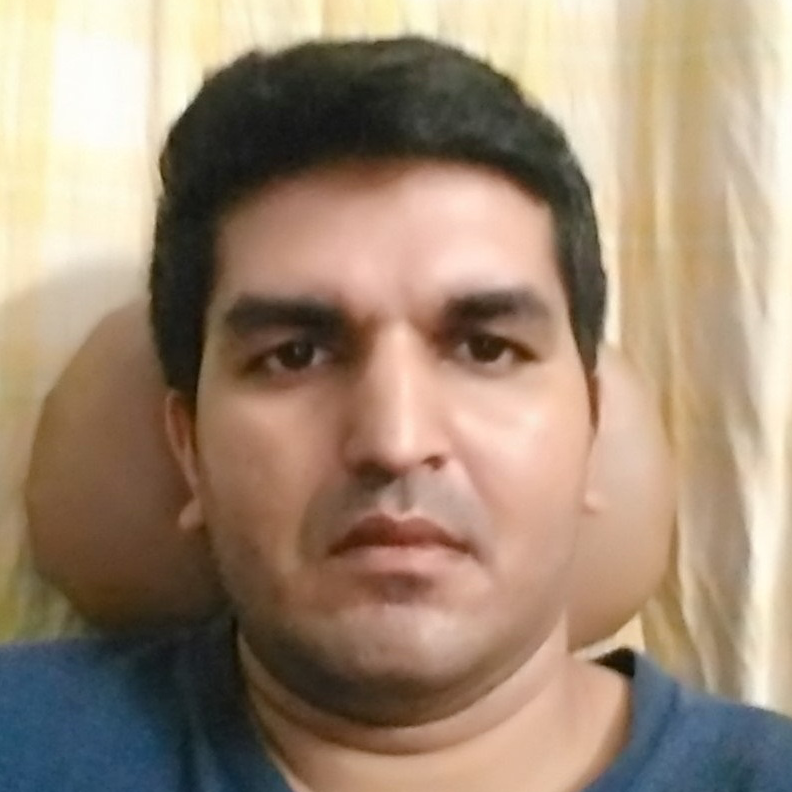 Khandavali (Haryana): On the morning of June 25, I left for Khandavali village in Ballabhgarh with a journalist friend who works in the Urdu press. We were on our way to visit the family of Junaid Khan, who was last week lynched by a mob on a local train. Ballabhgarh is a Tehsil town of Faridabad and we did not need to use the Global Positioning System to reach the town as the under-construction metro flyover and the pillars on the stretch from Faridabad lay adjacent to the Delhi-Mathura road. As we were instructed, we took a right turn at a mosque on the highway to drive towards Khandavali. We reached there at quarter past eight and we saw a small crowd assembled in the alley opposite to his home. It was the last day of the month of Ramzan, and we were told most people were asleep after the Sehri. Junaid’s father Mohammad Jalaluddin, who is a driver by profession, approached us after a while and tried to narrate what had happened to his son, Hafiz Junaid. A Hafiz is someone who memorises the Quran and can recite it at will. On June 22, Junaid had recited Quran at the Tarawih prayers and the elders in the community had gifted him some money. 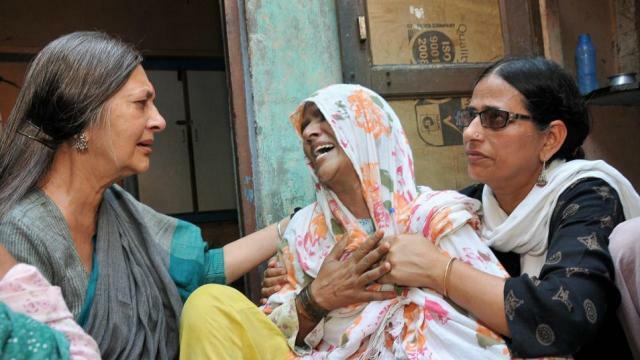 Junaid, who has seven siblings including one sister, had gone to Delhi on June 23 to buy some clothes for himself and a pair of footwear for his sister Rabia, Jalaluddin told us in a trembling voice. We met Mohammed Mohzin, 15, and Mohammed Moin, 17, who had travelled with 15-year-old Junaid and his older brother Hashim to Delhi. Both Mohzin and Moin appeared scared and did not wish to speak. We tried assuring them that our intentions were noble and we only wanted to help. It seemed the experience was so nightmarish for these teenagers that they didn’t want to recall it. After a while, Moin started to recount the incident. Junaid, Hashim, Moin and Mohzin had left for Delhi at 6 am on June 23 from their village for Eid shopping. They boarded a local train from Ballabhgarh station to Sadar Bazaar. After they were done shopping, they returned to the railway station and bought the ticket back to Ballabhgarh at around 4:30 pm. Till they reached Okhla, they were talking and playing Ludo on their phones. At the Okhla station, some 25 people made their way into the coach and Junaid was asked to vacate his seat for an elderly man. Junaid promptly did so but he was pushed and his elder brother Hashim raised an objection. Soon, comments like “Mullah” and “Pakistani” were passed and the skull cap worn by Hashim was snatched and thrown on the floor. One person stepped on the cap while another tried pulling Hashim’s beard. Things spiralled out of control after the train passed the Tughlakabad station and the four young men – three of them teenagers, and Hashim, just 20 – couldn’t defend themselves as they were slapped and kicked. As the train was approaching Ballabhgarh station and they tried to make their way to the exit, someone pulled out a knife and repeatedly stabbed Junaid. Hashim, in an attempt to save his younger brother, got stabbed in the melee. Despite pulling the chain, the train didn’t stop. Moin managed to deboard the train at the Ballabhgarh station but the others could not. It was at the Ballabhgarh station that Sakir boarded the train after having received a call on his phone from his brother. As he was trying to save his younger brothers, Sakir was also stabbed multiple times. Finally, at the Asaoti station, where the perpetrators had to deboard, both Junaid and Sakib were pushed out along with Hashim. Mohzin too managed to get out of the train. With the help of some locals, they managed to call for an ambulance and upon reaching the nearby hospital in Palwal, Junaid was declared dead. Hashim’s stab injuries were attended to and Sakib, whose injuries were more severe, was rushed to AIIMS hospital. Both Moin and Mohzin were overwhelmed as they finished narrating. Mohzin’s eyes welled up as he concluded. And I could see the fear still writ large on Moin’s face. We were told Hashim had been feeling unwell since he had woken up, and were taken inside the house and to Hashim’s room. He seemed to be in a lot of pain and grimaced as he spoke. Hashim pointed to three stab wounds on his body. There were stitches above his left knee, another one on the stomach and a third one on his shoulder. Instead of asking him to repeat the incident, I narrated what Moin and Mohzin had said and asked Hashim to point out if there were any errors. Hashim cleared our doubts about the sequence of events and how things unfolded. In between, he got a call from the Faridabad GRP station asking him to go there for a clarification in his statement. He excused himself citing his pain. Hashim recalled in horror how the man who stabbed Junaid in the stomach had rotated the knife after the stabbing that took his younger brother’s life. We decided to replicate the train journey for ourselves from Sadar Bazaar to Ballabhgarh. Before embarking on the journey, we went to the Faridabad GRP station and got a copy of the FIR. The eight-page FIR was registered on the basis of Hashim’s statement. 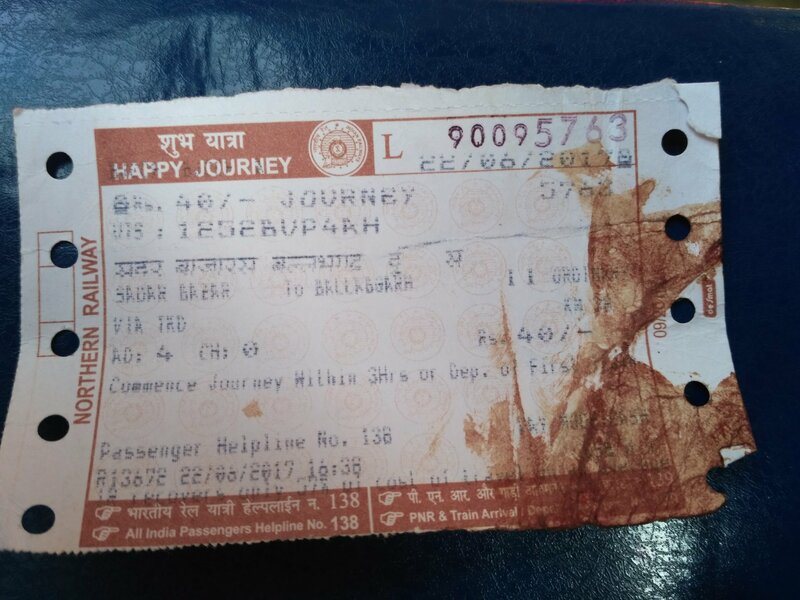 A ticket from Sadar Bazaar to Ballabhgarh just costs Rs 10. We were told that many don’t even bother to buy a ticket as the ticket examiners never come to check on the local trains. There was room in the train as we entered and we saw some people gambling. “We are just passing time playing cards,” they told us. Some of them seemed like government employees from their formal attire and conversations. It wasn’t tough to find a knife on the train. We saw a man cutting a fruit and there were fruit vendors on the train. A swarm of people entered the train at Okhla and soon, the coach – without any air conditioning – was packed with people. We were pushed from both sides as people made room to sit. We stood up but things remained chaotic and the train remained jam packed for most of the way. We returned to the village, accompanied Hashim to the police station and back and ensured they had legal help. I also went to AIIMS hoping to meet Sakir but couldn’t. While speaking to activists who had come to the village and others we met later in Delhi, we were told communal incidents had surged in many places around June 18, when India lost to Pakistan in the finals of the Champions Trophy in London. By all accounts, what happened on that fateful day seemed like a hate crime based on the identity of the victims. It dawned on us that mob lynching in the name of the cow had finally made its way to the national capital. Is our country, formed on the basis of a secular constitution, going to the dogs? Or rather, cows? Anand Kochukudy is a political journalist and lapsed academic.